Police action against drug dealing in Worthing has continued with the execution of drugs warrants at two addresses in the town. The raids are part of steps being taken to combat drug dealers who operate from London by operating special phone lines and taking homes of vulnerable people locally, in order to use as a supply base, a police spokesman said. Two addresses in Worthing were searched, one in Queens Road and one Christchurch Road, on Friday (January 26) police said. Five people, three women and two men, were interviewed but not arrested, according to a spokesman. 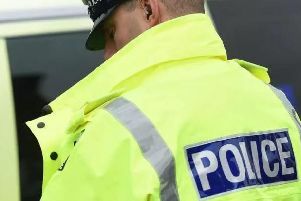 Another man, aged 25, was arrested on suspicion of possession of cannabis and cocaine, and after being interviewed was released under under investigation, said police. A further two addresses in Worthing were visited to check on the welfare of occupants and ensure they have access to sources of support, following information that they may be vulnerable to having their homes used by dealers, said police. The previous day, three people were arrested for drug offences at another property in Worthing. Police activity also developed intelligence which resulted in at least six ‘County Lines’ drug supply phone line being disrupted across Sussex on the same day. Typical ‘County Lines’ activity involves an organised crime group from a large urban area travelling to smaller locations, such as a county or coastal towns to sell class A drugs in particular cocaine and heroin. The group may challenge an existing group from the local area or another county lines enterprise, which can lead to violence, said police. The name ‘County Lines’ is used because the organised crime group establishes and operates a single telephone number for customers ordering drugs, operated from outside the area, which becomes their ‘brand’. Unlike other criminal activities where telephone numbers are changed on a regular basis, these telephone numbers have value so are maintained and protected. The organised crime groups tend to use a local property, generally belonging to a vulnerable person, sometimes drug users, as a base from which to deal. This is known as ‘cuckooing’ and will often happen by force or coercion. In some instances victims have left their homes in fear of violence. Detective Chief Inspector Steve Rayland of Sussex Police said: “This is not a new phenomenon and is not confined to Sussex. “London affiliated gangs have been seeking to establish drug distribution in Sussex and elsewhere in the South East for several years, although activity has increased in the past two or three years, sometimes involving the use or threat of violence. “The number of active ‘County Lines’ changes on an often daily basis, as we disrupt them or when they cease to be active for other reasons. “Sometimes children and vulnerable adults are involved and we work with local partners to safeguard any vulnerable adults and children, although no children were found during this particular operation. “The most successful safeguarding outcomes have involved multiple agencies, including police, housing authorities, town councils, public health bodies, and charities. “We are continuing to actively target such drug dealing across Sussex on a forcewide and local level wherever it is identified in order to make the area a hostile environment for dealers. “For example across Hastings and Rother local officers have identified almost 30 active addresses as being ‘cuckooed’ or having the potential to be so misused. Anyone with information about ‘cuckooing’ or drug dealing in their area can contact police online or phone 101, quoting Operation Preclude. Alternatively please visit the Crimestoppers website or contact the independent charity anonymously on 0800 555 111.